Ok, so I know today is the whole Wordless Wednesday thing and I could skate by without a post and just slap up a cute picture of my kid and be done with it. But I can’t because, in this case, the picture is just a small part of the story. And this story is too good not to tell. We’ve been going through a few bumpy stretches around here as we work to find a new equilibrium. Between Niksdad working nights now and getting less time with Nik, the wonky school schedule, the “super storm,” the broken speech devices (it’s fixed now! ), the belly troubles, the ear infections and the early triennial evaluation of every aspect of Nik’s needs and services…yeah, bumpy. When we get into a challenging run of days, it’s easy to forget to look for the good stuff. 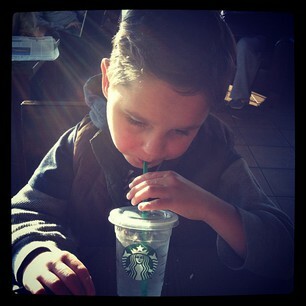 So, what’s so special about a picture of my uber-cute son sipping on a beverage at our local Starbuck’s? The fact that he asked to do it. Over time, we’ve progressed from sharing a slice between us to Nik hogging it all to himself wanting a whole piece. I usually drive and sing and hand back a bit of cake here and there as we head home on the highway. It’s not exactly the neatest way to do it, but it’s always been such a hassle to try to wrangle Nik in public places with lots of things for busy hands to get into while Mama pays for stuff. In short, it’s been a sanity-saving measure for me. 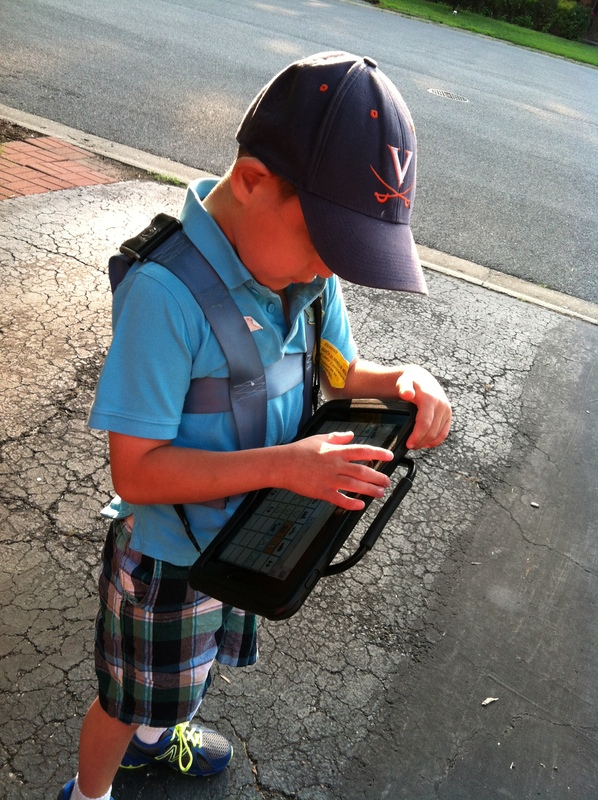 As we passed the Starbucks on our way to the doctor’s office, Nik kept repeating the word inside on his device. 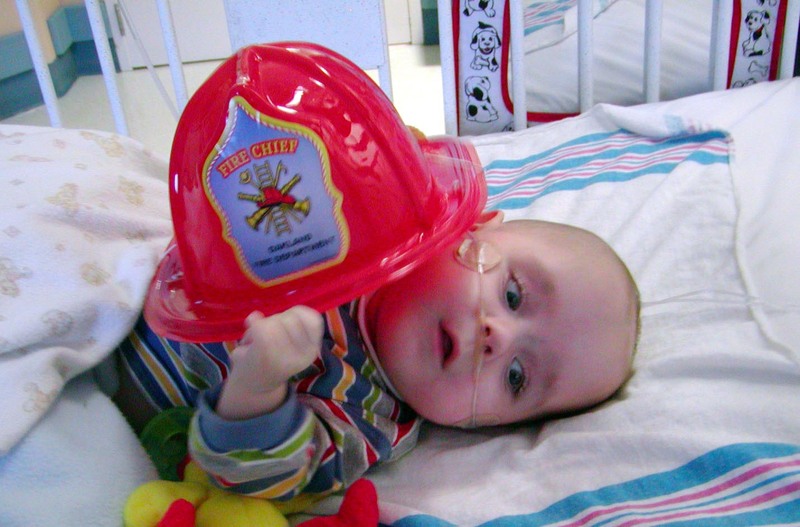 “Yes, baby, we’re inside the car.” “Yes, Nik, we’ll be inside the doctor’s office soon.” I didn’t really understand what he wanted but was following the pattern of AAC use which is that you acknowledge every utterance so as to encourage continued communication. It’s become so ingrained that there are days I have to catch myself from doing this to my husband as he speaks! Inside. Inside, please. Inside, Mama. Inside. Want sit inside. My boy knows what he wants and can tell me. My miracle child, who was once able to communicate only through self-injury and tears, can make himself understood without endless prompting or cajoling! The magnitude of this milestone, years in the making, does not escape me. As I pull into a parking space, I am rewarded by the sound of laughter as Nik claps his hands in delight. Clearly, his success does not escape him either. Once inside, Nik proceeds to use his device to tell the barista “Want lemon cake.” I admonish him to use his nice words; “Please,” he says in the quirky digitized monotone I have come to love. In this moment, the endless hours of teaching, prompting, shaping and modeling fade from my mind as I watch the naturalness with which he connects with the girl behind the counter. For a fleeting moment, I tell myself I might consider buying a pony if he asked.